Trimming hooves is also part of shearing day. Sheep were among the first animals to have been domesticated by humans and there is evidence of sheep farming in Iranian statuary from between 11,000 and 9,000 BC. We have a responsibility for the well-being of domestic animals, and regular shearing requires shepherds and shearers to have hands-on time with the sheep under their care. Because a fleece can weigh 12-15 pounds (or more) even in the desert, more than a year's growth of fleece becomes a stressful burden of extra weight and extra heat for a sheep to carry. Regular shearing means that sheep get checked for parasites or hidden wounds, needed medications and vaccines can be given, and hooves trimmed. The tangible "payback" for this responsibility is the sheep's glorious fiber, tasty meat, or darling lambs. There is also no small satisfaction in filling a stewardship role to the best of one's ability. "I've been fleeced!" Thor immediately after shearing. The proper time to shear is a result of several conditions including weather, expected arrival dates of lambs, length of time from last shearing, and shearer availability. 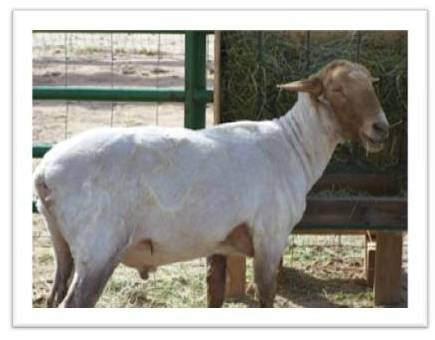 Because of southern Arizona's summer heat, our shearing is carefully timed to occur no closer than 4-6 weeks before lambing dates so not to stress the ewes, but also to make certain that the sheep have their "G.I. haircuts" for the longest period during the heat of the summer. The first weekend in March turns out to be ideal for us. Shearing is a dying craft, particularly in places like southern Arizona, where hobby farms and artisanal flocks hold the majority of sheep, which are tiny in number at best. Naturally as absolute sheep numbers diminished, so did the number of shearers. The first three we called apparently had enough business that they needed not even to return phone calls. We were lucky to find Jerry Ladd, who sheared for us for eight years before moving out of state. Currently we are using Mick Hoffman who shears both in the U.S. and in Australia. Shearing day also involves a general checkup for sheep health and skirting the fleece. 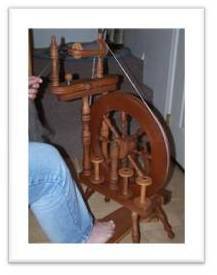 Portions of an especially clean and lovely fleece might be spun "in the grease," that is, not washed before it is spun, but most fiber will benefit from cleaning before use. We discovered that hand processing of much more than a single fleece quickly lost its charm and began looking around for a mill whose product we liked and who processed without added chemicals to artificially dissolve veg. We generally have raw fleece available in varying amounts. If a whole or half fleece interests you, contact us or Tempe Yarn and Fiber.